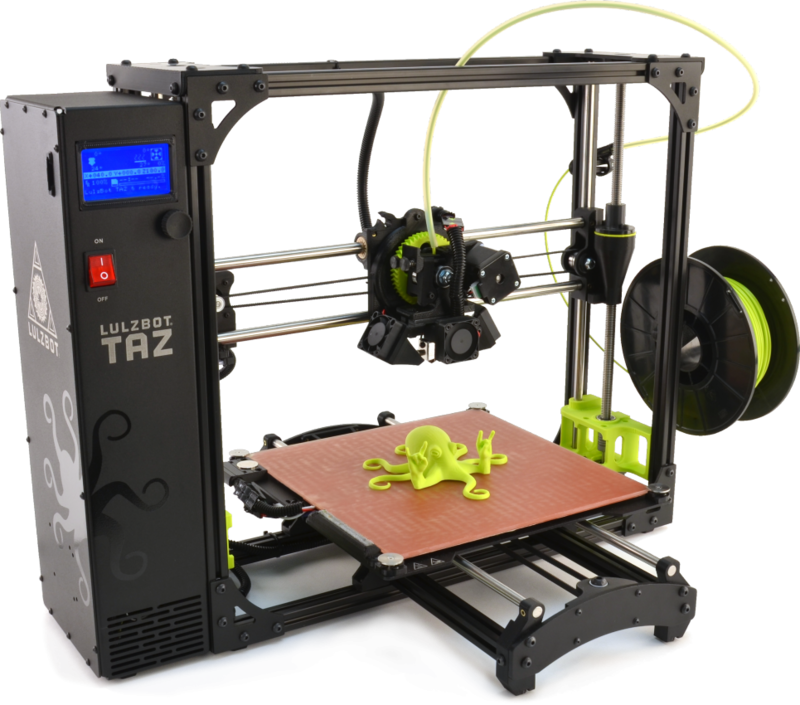 The Lulzbot Taz 6 is a Fusion Deposition Modelling (FDM) 3D printer which uses layers of hot plastic to build up complex three-dimension shapes, up to a maximum size of 250x250x280mm. The printer is fitted with a dual extrusion head, allowing two materials to be printed simultaneously. In normal operation, this allows supports to be printed in a dissolvable or easily removable material, to prevent damage to the surface of the final piece. The second head can also be configured to print a second, non-support material, allowing for prints with a flexible or clear second material. A durable, easy to print filament, excellent for high detail or small prints. Due to a low shrinkage factor PLA doesn’t deform on cooling. PLA is also a biodegradable plastic made from renewable natural sources. ABS is a strong and impact-resistant filament ideal for 3D printing of object which will undergo high-mechanical strain. Note: Highly soluble in acetone and other similarly polar solvents. PVA filament is used as a soluble support material for printing pieces with large overhangs. Easily soluble in water, with excellent adhesion to a variety of commonly used 3D printing plastics (such as ABS and PLA) makes PVA excellent for this task in dual extrusion printing. A wide range of filaments are available and can be used for specialist applications, these include flexible, transparent and more durable plastics. If you require these for an application, they can be ordered. Any 3D CAD program (Such as Solidworks or Fusion 360) can be used to design a model for printing. Models should then be submitted in .STL format on the submission page, along with a short description of what it is to be used for, and how high-quality a part is required.